Almost time to break the fast? Gather friends and relatives together to celebrate the end of Ramadan this year. 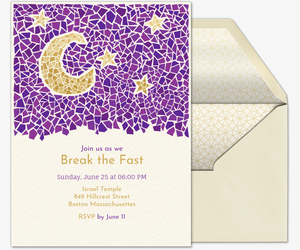 With free and Premium invitation designs, Evite makes it easy to get loved ones together for an Iftar dinner, gift exchange, and more during Eid al-Fitr. Our collection includes dozens of new handcrafted designs, featuring evening elements like stars and moons in purple and gold. 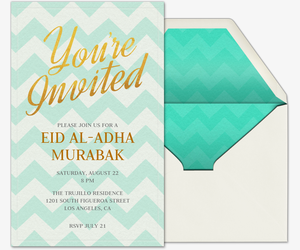 Choose and personalize the most fitting paperless invitation to wish family and friends “Eid Mubarak.” You can provide a custom host message with event details, and help guests along with your invitation’s custom What to Bring lists and polling features. 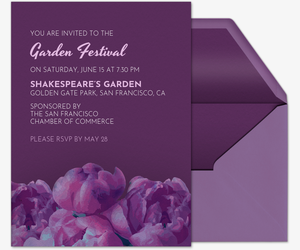 Online invitations keep everything organized: Track RSVPs in real-time, manage your guest list, send messages, and make event updates all in one place -- or even on the go via the Evite mobile app. 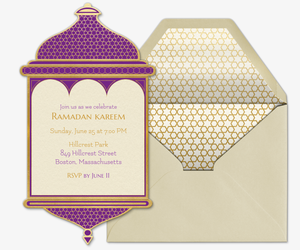 Plus, every digital invitation comes with a Private Sharing Feed for your guests only. Encourage guests to share photos, start conversations, and “like” each other’s posts. You can collect guest photos to use on thank you notes later! 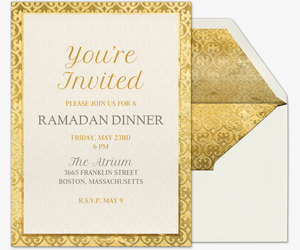 For an ad-free experience, send a Premium Ramadan invitation. 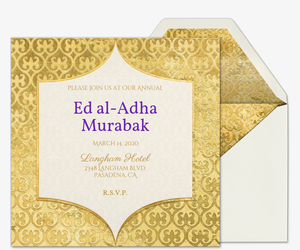 Evite’s Premium invitations come with matching envelopes, digital stamps, customizable liners, and the option to include additional inserts for photos and messages. Pricing for Premium designs is based on the size of your guest list. 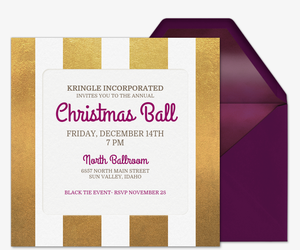 Celebrate every occasion and holiday with Evite’s thousands of digital invitations. 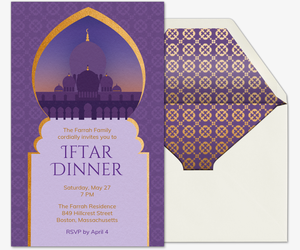 Browse our religious invitations, family gathering invitations, birthday for kids invitations, wedding invitations, baby shower invitations, and more.